One of my favorite Etsy shops (that sells digital downloads) is Iralamija Shop. I recently purchased their (on sale!) Vintage Dresses download and had a lot of fun creating a pretty pastel card with one of them. I embellished my pretty dress with some tiny roses around the collar, a pretty burlap string bow, and an extra lace ruffle across the bottom. These cards are perfect for sending to little girls or even as congratulations for a new baby! Awe ... what a sweet creation! Thanks so much for playing in our ‘Layers’ challenge at Dies R Us! Please come back again soon! This is a gorgeous card, Esther! So soft and delicate. Love the little dress. Thanks for joining the Double D, "Pastel Party" Challenge! Stunning baby card! LOVE the gorgeous dress and that added lace is the perfect touch. Your lacy die and corner accents are also perfection! Thanks for joining our "LAYERS" challenge at Dies R Us! Oh this is fabulous! My daughter is expecting our very 1st grandchild in early November, this is perfect to welcome a new baby girl....may have to purchase one myself! The colors and design are lovely! Great texture and I adore how you have framed it in with your pretty corner cuts! LOVE! 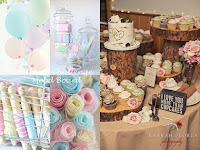 Thanks so much for playing along with us at The Double D Challenge Blog, Pastel Party. Donna, DT Member. Oh how beautiful, I just love this! Oh my goodness--this is absolutely precious, Esther!